Click the button below if you prefer to register with a registration form. Fill out the form and mail with a check. Registration is now open for this special children’s program that uniquely combines learning Spanish and experiencing Latin America right here in Elmhurst. Children entering Kindergarten – 5th grade will build upon their Christian faith and participate in learning Spanish in grade appropriate groups using stories, art, games, food and much more. Children from more than six surrounding suburbs come together for a week of fun and interactive activities. This program introduces youngsters to speaking Spanish while also learning about Latin America and the Caribbean. The program is entering its fifth year and has been steadily growing. First Congregational United Church of Christ in Elmhurst is proud to be living out its mission to equip children to be Global Citizens. Using stories that stem from Latin America and the Caribbean, children learn of the rich heritage of others. Stories are shared using dual language (English and Spanish) and come to life by sharing customs, food and art. 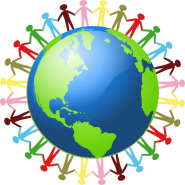 One of the major goals of global outreach is to teach children the importance of being good global neighbors. Through age appropriate educational presentations and art projects, children learn from other communities in Latin America and the Caribbean on how their actions right here in the Chicagoland area can make a difference in our world. 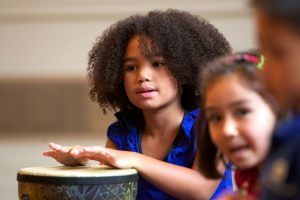 Our music component is one of the most popular among the children that participate in our De Colores program. Spanish is learned through songs and rhythm. 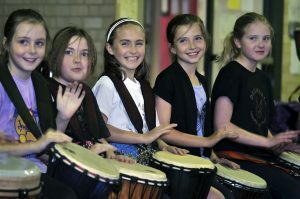 Percussion instruments such as congas, maracas and many others are infused into the learning. This engages children into an authentic cultural experience. Each summer craft projects, that incorporate recycled materials are carried out by the children participating in De Colores. 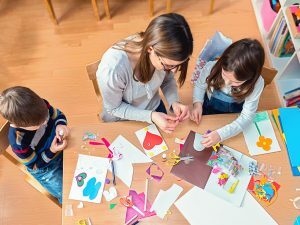 These daily projects are linked to our global outreach theme to help children make global connections. Learning to speak Spanish in a fun, non-stressful environment allows children to grow a love for language. 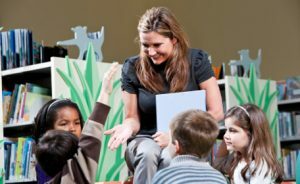 Using real life situations to teach Spanish is one of De Colores’ most successful attributes. Year after year parents register their youngster for this amazing global experience. After an exciting week-long adventure children participating in De Colores carry out a special presentation for their families and friends during First Congregational’s 10:00 am De Colores Sunday Service Celebration. In age appropriate age groups children share what they have learned through singing and presentations, culminating with a delicious ice cream social.